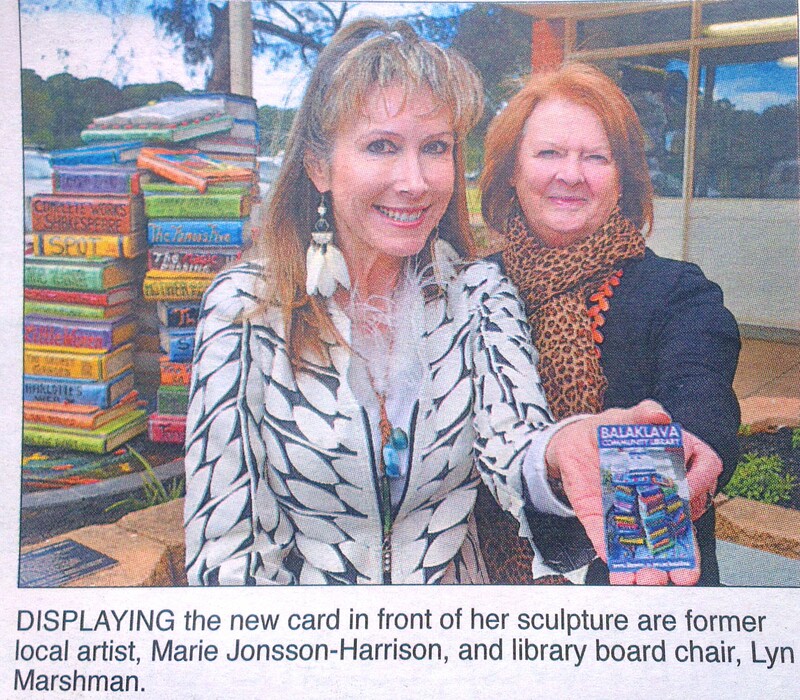 I was really thrilled to be asked if the image of one of my Public Sculptures could be used on the new “One Card” system (interconnecting library card for borrowers). The SA public library “one card” network is connecting the systems of more than 130 public libraries across South Australia to let you borrow and return items wherever you go, using your current library card. Users can borrow items including books, DVDs, CDs, magazines and children’s picture books with it. They are also able to use an online reservation booking system or call in at any participating library across the state to pick up or drop of books. 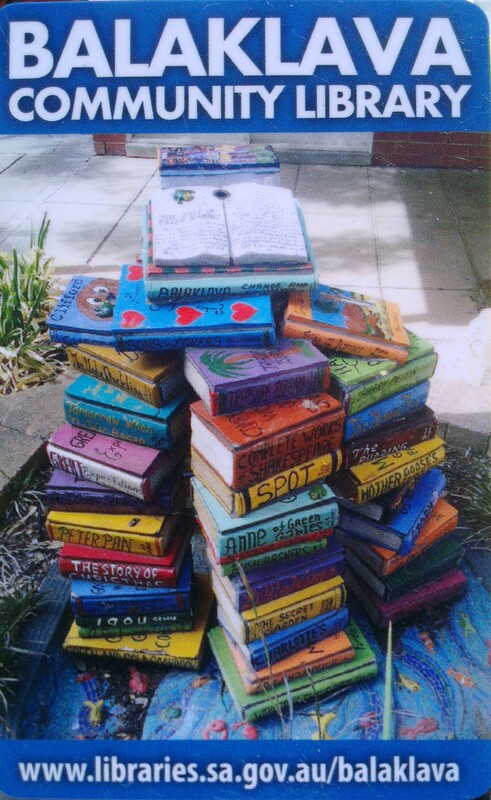 The image used for the Balaklava Library is this book stack water feature sculpture that I was commissioned to do for the library (mid-north in South Australia), a few years ago. 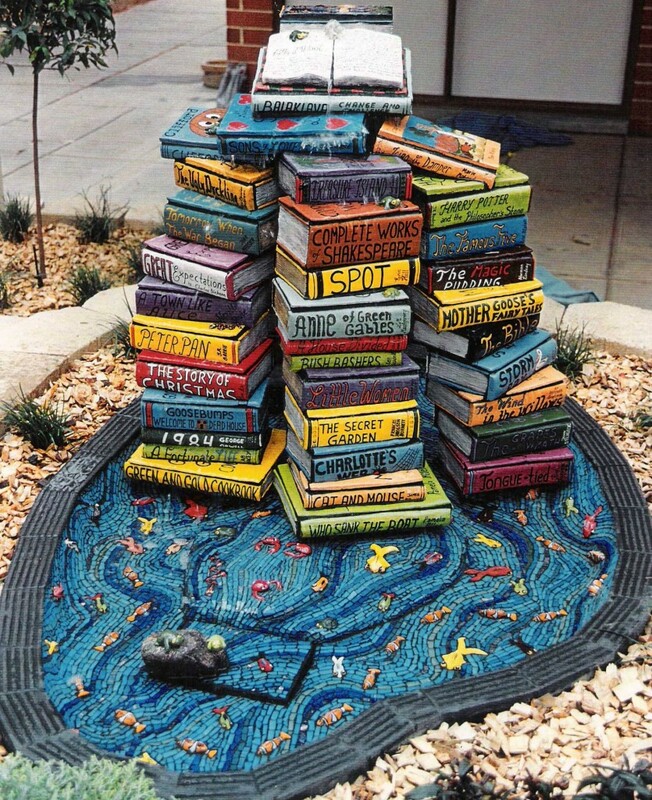 I had of course lots of fun designing this sculpture and as I love both the water and books, so it was no stretch. It is made from hebel and handmade ceramic and mosaic and took hours and hours to complete. There are ceramic little fish in the water pond as well. We left the decision of what books should be included to the local population and conducted a survey through the local paper, schools and library to find out the names of the most popular books and authors to be included in the artwork. 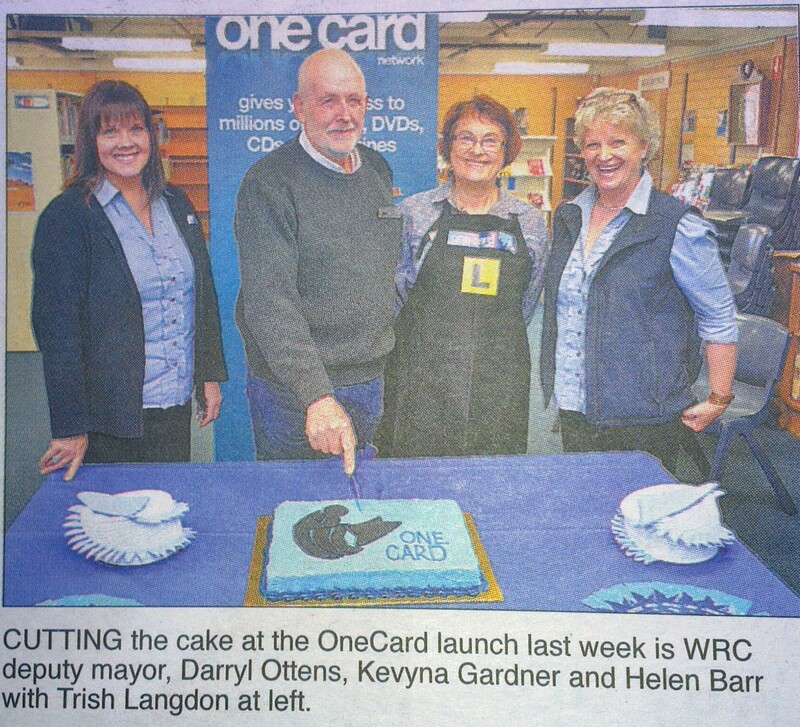 These photos were taken by the Editor of the Plains Producer Les Pearson and were first published in their paper. 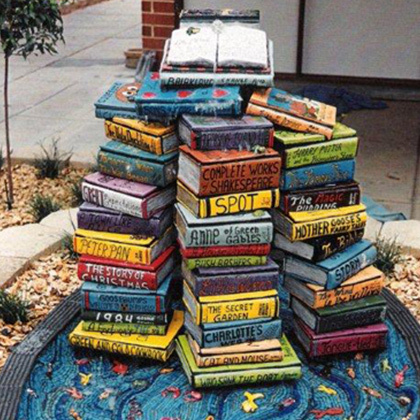 There is also a mural on the wall at the entrance of the library as well as the water feature book sculpture which is set in a little garden and was created in memory of Des Ross in recognition of his service to the local area as well as Australia. Des was both the President of the Local Government Association as well as the Australian Local Government Assoc., and a board room in Canberra is named “The Des Ross Room” in his honour. Till next time happy painting and sculpting and also borrowing books!